Abies nordmanniana, also known as the Nordmann or Caucasian Fir, is now best recognized as the needle holding Christmas Tree sold by garden centres in December. First introduced to Britain between 1848 and 1854 from the Caucasus Mountains and North East Turkey. 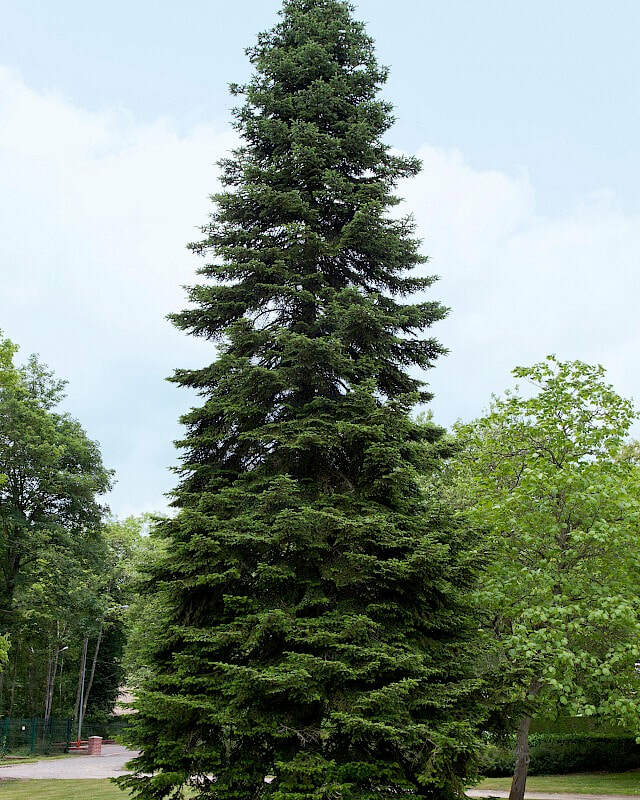 The evergreen needle-like leaves are a shiny dark green and combined with the attractive pyramidal shape make the Normanniana stand out in the landscape as one of the most majestic of firs. The needles themselves when crushed produce that familiar Christmas smell of orange peel. It also produces attractive cones that can grow up to 20cm long. The large pyramidal shaped tree can reach five meters high within its first 10 years.